Zuba Ski is pleased to be able to offer a selection of self-catered modern high quality cabins in Stranda Ski resort. Varying in size, accommodating from 5 person to over 20 people, some of the cabins have hot tubs and sauna. At the Stranda Hotel you can find everything you need for a comfortable stay in this beautiful village on the edge of the fjords. The swimming pool and sauna area are a highlight. Hotel Brosundet is a beautiful intimate hotel set on the waters of Ålesund. Each of the 47 rooms has been crafted to offer a unique experience to its guests. Spend a night here to make your holiday forever memorable. This unique ski resort is a wonderful place for family skiing as well as the adventurous. With an average snowfall of around 6 metres each season, it has become a paradise for those in search of powder. 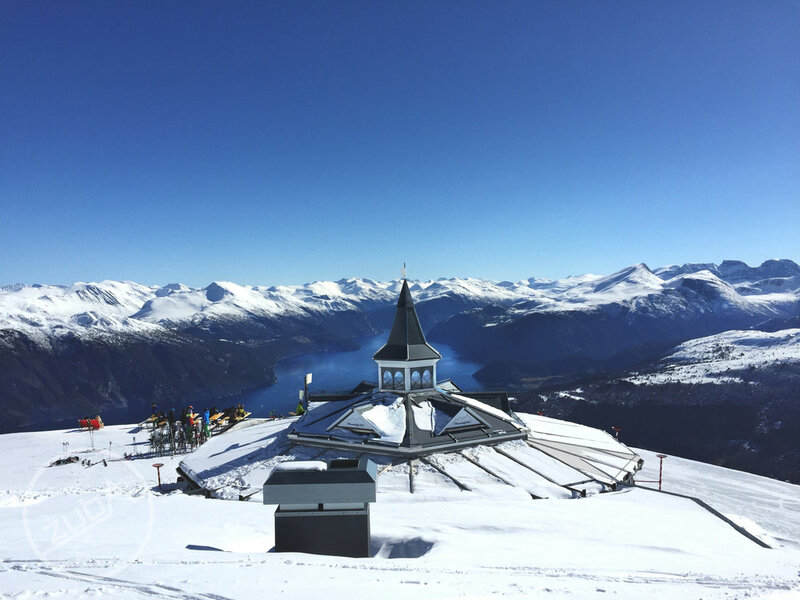 Perfect for mid to late season skiing, the Sunnmøre alps are groomed to perfection. Sleep in a grass roofed cabin, book a qualified mountain guide or ski instructor and have the time of your lives overlooking the breathtaking view of Storfjord. If you are looking for something special, different but above all snowsure Stranda is the answer! Arriving by plane into Ålesund, your adventure starts immediately. This beautiful art nouveau city and sea port is surrounded by magnificent hills and snow capped mountains and as you transfer a couple of hours along the fjords, wonders never cease to amaze. When you take the car ferry across Storfjorden you enter into the wilderness that is the Sunnmøre alps until you reach Stranda. This is so much more than just a ski resort. It is an experience for you, your friends and family which you will remember for years to come. The quiet pistes and surrounding mountain are a perfect place in which you can take skiing to the next level and given the relatively small number of skiers, you might be forgiven in thinking that this was your own private ski park. 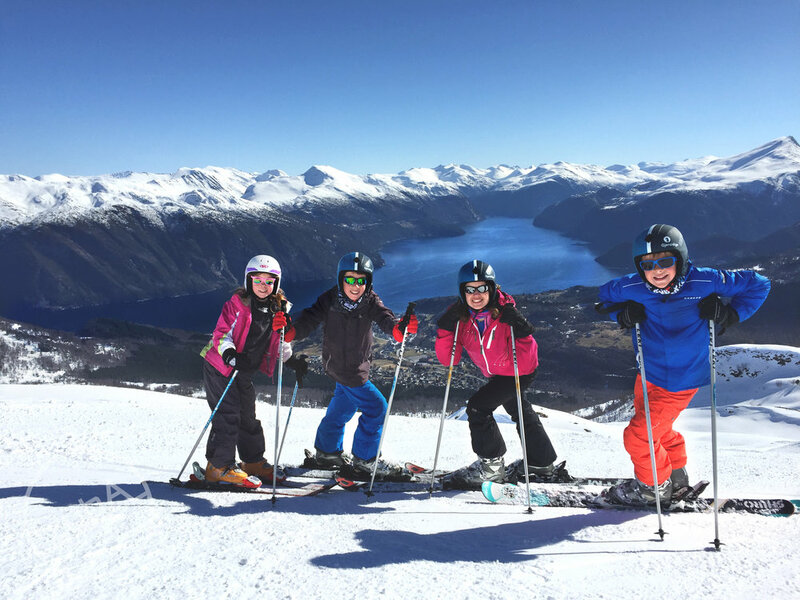 Ski off piste in an open and unthreatening environment through the silver birch and down towards the town or venture further afield on skis and skins touring with a qualified mountain guide. The groomed pistes are varied and, whilst few in number, offer a calm space in which children and adults can perfect their turns. Looking for somewhere in the Alps? Click here. If you know the name of the cabin(s) that you are interested in staying in, please select the appropriate name in the list below. 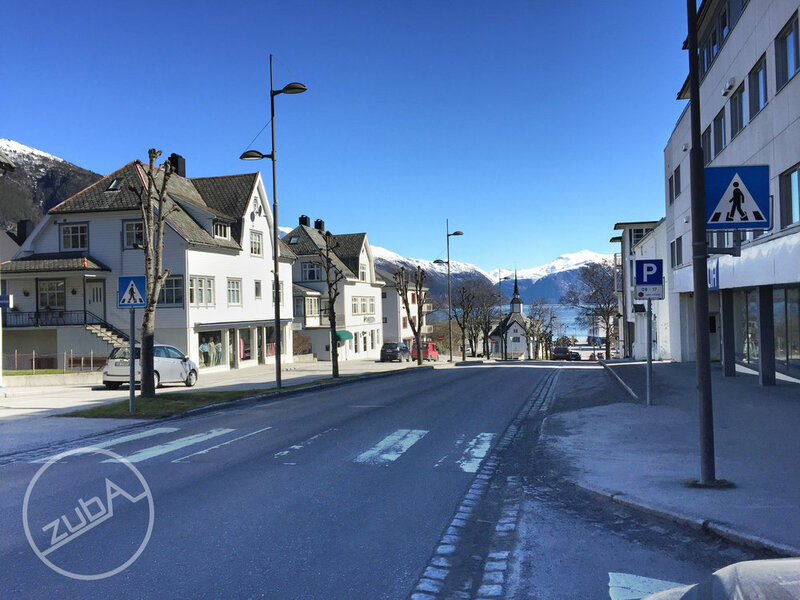 If you are interested in spending a night or two in Ålesund on your way to or on the way back from Stranda, please let us know which hotel you would like to stay in. We will be in contact shortly to arrange a wonderful holiday amongst the Norwegian fjords.